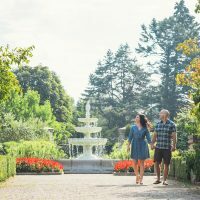 Hamilton Halton Brant is a region full of best-kept secrets and plenty of our sights and events are the “only”, the “largest”, the “first” or the “best” in Ontario, in Canada, and beyond. From natural wonders to not-to-be-missed events, you’ll want to check out our newest list of some of Hamilton Halton Brant’s claims to fame. Niagara Falls may get all the glory, but we think there’s strength in diversity and sheer numbers. With well over 130 falls and cascades to brag about within its city limits, Hamilton is known as the Waterfall Capital of the World. The Niagara Escarpment cutting through the middle of the city provides the best possible setting for falls of all shapes and sizes, from the crashing waters of Webster’s Falls, to the 120-foot pour into the Devil’s Punchbowl, to the steady tiered cascade of Princess Falls. Waterfalls are found all along the Niagara Escarpment in Hamilton, including the communities of Dundas, Ancaster and Stoney Creek. Canada’s proud history of wartime naval service is vividly on display aboard the legendary HMCS Haida, a Tribal class destroyer that served in the Second World War, the Korean Conflict and the Cold War. 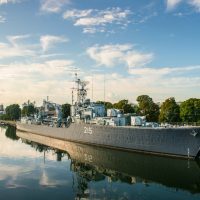 Dubbed ‘Canada’s most fightingest ship’ because she sank more enemy naval and merchant vessels than any other Allied warship, this famous Royal Canadian Navy ship now proudly rests in Hamilton, where visitors can explore its historic decks on guided tours. The world’s largest collection of lilacs can be found in Burlington at the Royal Botanical Gardens, which features more than 800 varieties of this fabulously fragrant flower. The Katie Osborne Lilac Collection in the Lilac Dell displays over 745 plants and 600 species and cultivars of common lilacs, making it one of the most diverse to be experienced anywhere on the planet. The best time to plan to visit this National Historic Site for this springtime favourite is late May during the Lilac Celebration, when the scent and colour of the flowers is at its peak and special tours and demonstrations are on offer. The Canadian Warplane Heritage Museum in Hamilton is the only place in the world where you can fly in a Lancaster. 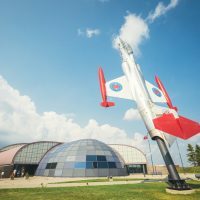 At this living museum featuring the aircraft used by Canada’s Military, a flight in one of the most famous Allied bombers of the Second World War offers history buffs the thrill of a lifetime. In addition to the Avro Lancaster, the museum offers flights in the B-25 Mitchell, Fairey Firefly and PBY Canso. The Six Nations Champion of Champions Pow Wow, near Brantford, includes traditional regalia, drumming, singing, and a dance competition with over 400 participants, plus crafts and food booths. About 15,000 people get a taste of native culture at the annual two-day Pow Wow event, held the last weekend of July at Ohsweken. Dancers come from across North America to compete for the title ‘Champion of Champion’. First played 115 years ago in 1904, the Canadian Open is the third oldest continuously running tournament on the PGA Tour, after The Open Championship and the U.S. Open. This year’s tournament will be played in June at Hamilton Golf and Country Club, Harry Shapland Colt’s parkland masterpiece that sits along the edge of the Niagara Escarpment. It is one of the oldest and most prestigious golf clubs in the country, and is consistently ranked among Canada’s best courses with winding fairways, multi-elevations and undulating greens. 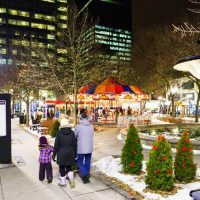 This taste of what makes Hamilton Halton Brant so unique is just a start to discovering the region. Plan more adventures and get inspired with trip ideas for bundling up perfect little packages of Hamilton Halton Brant.